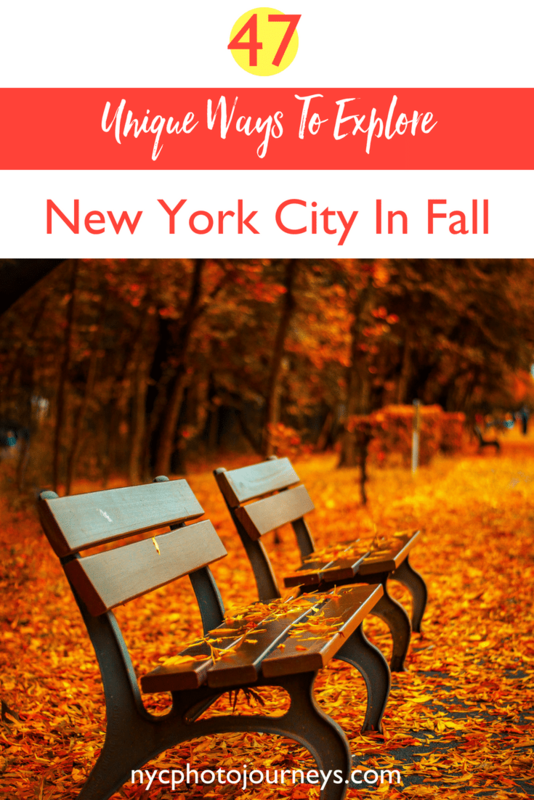 If you thought this urban destination was merely a concrete jungle, visiting New York City in fall will introduce you to the colorful, festive place it can be. Within this cityscape, autumn ushers in crisp air, fabulous foliage and comfortable sweaters. There are also seasonal events, hidden parks, scenic day trips and unique experiences you can only have for a few months each year. 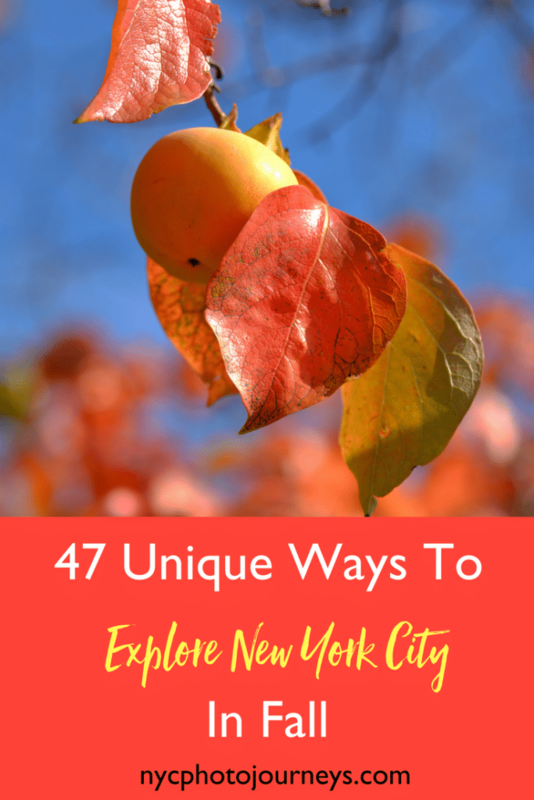 Getting to many of these places often involves the swipe of MetroCard — or possibly the purchase of a train ticket; though all of the following 47 fall experience suggestions encourage you to capture memories on your phone or camera while having your very own New York moment. Keep reading for our guide to exploring New York City in autumn, beyond the obvious like wandering Central Park. We’ve even woven in some essential New York fall activities beyond the city walls! When Does Fall Start In New York? Technically, fall in New York starts in late September and runs until late December; however, changing weather patterns mean the warm shorts-and-tank top weather can run into October. Of course, fall in October feels much different than fall in December. This is the northeast, after all, so don’t be surprised if you’re wearing flannels in October and then having a snowball fight during the holiday season! Here are just a few of the myriad experiences to have in New York in fall. 1. Take a tour that’s also a photoshoot. 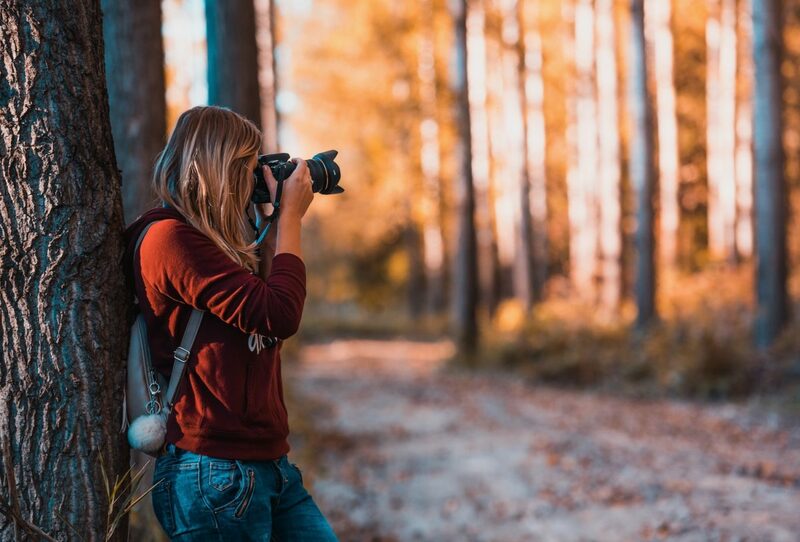 Shameless plug, but NYC Photo Journeys offers a Private Photo Journey that not only includes a locally-led tour — usually by founder Jessie Festa — but also professional photos for you to keep. Check out our Instagram for more photo examples! 2. Walk among the woods in Pelham Bay Park. In The Bronx, NYC’s largest park is full of forests, islands, bodies of water and woodlands. Among its three trails, the popular Kazimiroff Nature Trail runs through the park’s Hunter Island. 3. Celebrate the Feast of San Gennaro in Little Italy. Looking for fun fall events in New York? The 11-day Feast of San Gennaro is based on the tradition of honoring a patron saint brought over by immigrants from Naples. That being said, this September festival along Mulberry Street is equally noted for tons of food stalls selling Italian-American staples. You might spot actor Tony Danza manning one; he’s a partner in Alleva Dairy, a Little Italy cheese shop. 4. 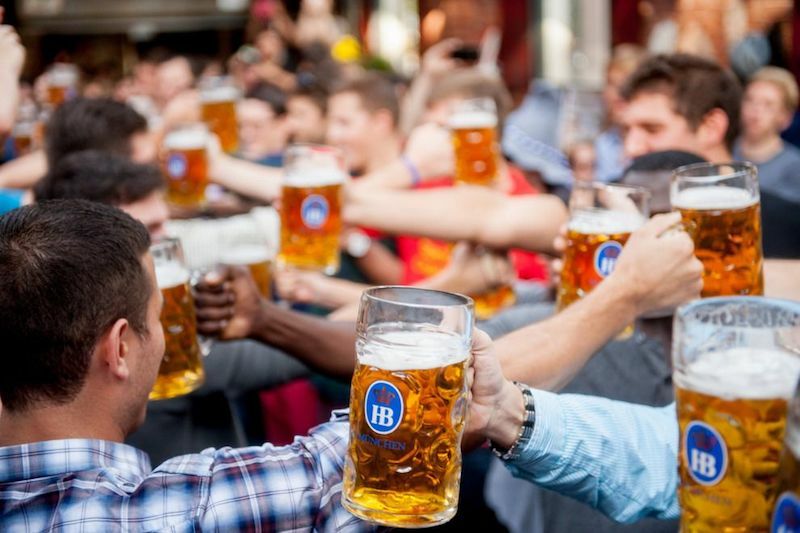 Head to a beer hall for Oktoberfest. Raise a glass in NYC to this German tradition by ordering some bratwurst or schnitzel and a stein. 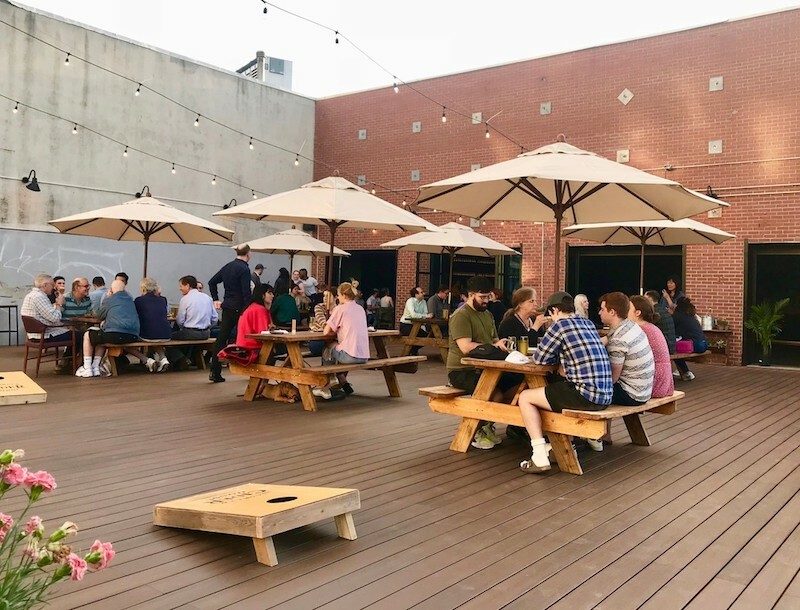 Bring your party to Bohemian Hall & Beer Garden in Astoria, Queens; Radegast Hall & Biergarten in Williamsburg, Brooklyn; or Spritzenhaus, an indoor beer hall in Greenpoint, Brooklyn. 5. Take a Gram The Garden Tour. The 250-acre New York Botanical Garden is one of NYC’s most Instagrammable places. 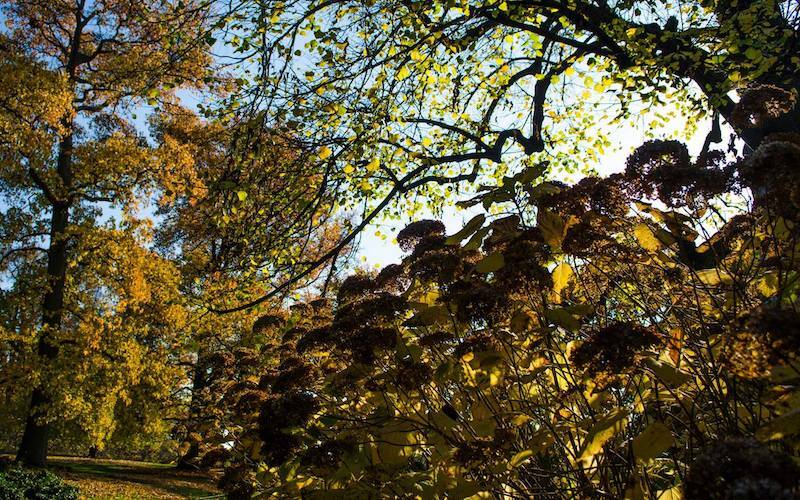 To help you get the best fall photos for your feed, this 1.5-hour New York excursion pairs you with a garden employee who will show you the most photogenic places, which change seasonally. The Bronx garden’s Thain Family Forest is the largest remaining tract of old-growth forest in New York City, so definitely keep an eye out for this unique photo opportunity. 6. Tour an urban farm. Now through October, tour Brooklyn Grange’s rooftop farm locations at the Brooklyn Navy Yard or Long Island City, Queens. In the East River, Randall’s Island Park has events for learning more about what grows at its Urban Farm and seeing its resident chickens. 7. Discover another kind of farm living. Visit farms from another time that are still around. 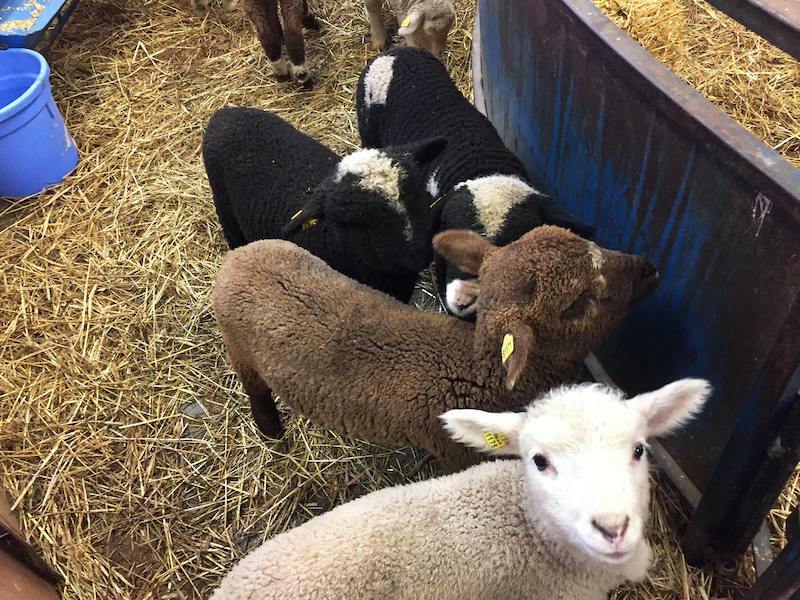 Queens County Farm Museum in Floral Park has a pick-your-own pumpkin patch and a traditional county fair in early October. Moreover, the Dyckman Farmhouse Museum is the oldest remaining farmhouse in Manhattan, and the Wyckoff House Museum in Brooklyn has a Saturday farmer’s market from June until November. 8. Taste fall flavors at Park Avenue Autumn. This rotating fine dining restaurant in Manhattan’s Flatiron District truly reflects the season, not only changing its New American menu offerings but also its décor. For fall, the venue serves lunch, brunch and dinner plus has an hors d’oeuvres bar and specialty cocktails such as an “Autumn Spritz” with Courvoisier VS, spiced pear and prosecco. 9. Pay your respects at cemeteries. Interested in learning more about some of NYC’s non-living tenants? Brooklyn’s Green-Wood Cemetery holds various public tours and events relating to those who are no longer with us; it’s also the final resting place for famous New Yorkers, among them, Jean-Michel Basquiat and Leonard Bernstein. The Bronx’s Woodlawn Cemetery schedules walking and trolley tours connected to its occupants and history. 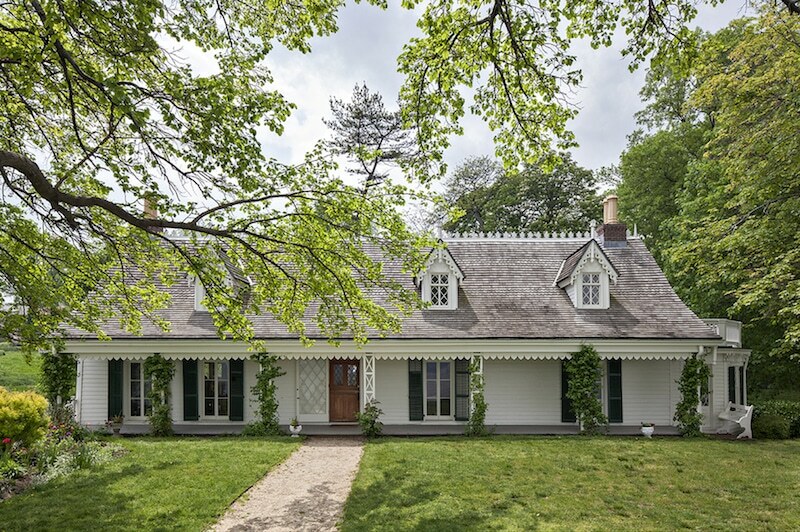 Alice Austen House by Floto and Warner, courtesy of Open House New York. 10. Admire architecture via Open House New York. Every October, Open House New York provides access to participating architectural sites of all types throughout the five boroughs — with a good number of them usually not open to the general public. Check their website for a complete schedule and information on sites requiring advanced reservations. 11. Cheer on runners in the TCS New York City Marathon. Visiting New York in November? Watch as participants embark on a 26.2-mile course across the five boroughs on the first Sunday in November. The best observation areas extend to Fourth Avenue in Park Slope, Brooklyn; the Long Island City, Queens side of Pulaski Bridge; or Fifth Avenue from East 90th to 105th streets, before the runners enter Central Park. 12. Spend your evening at a night market. At the New York Hall of Science in Flushing Meadows, the Queens Night Market brings a solid mix of food and arts and crafts vendors in one setting, now until the end of October. Eat your way around the word and shop local, at the same time. 14. Watch the Village Halloween Parade. 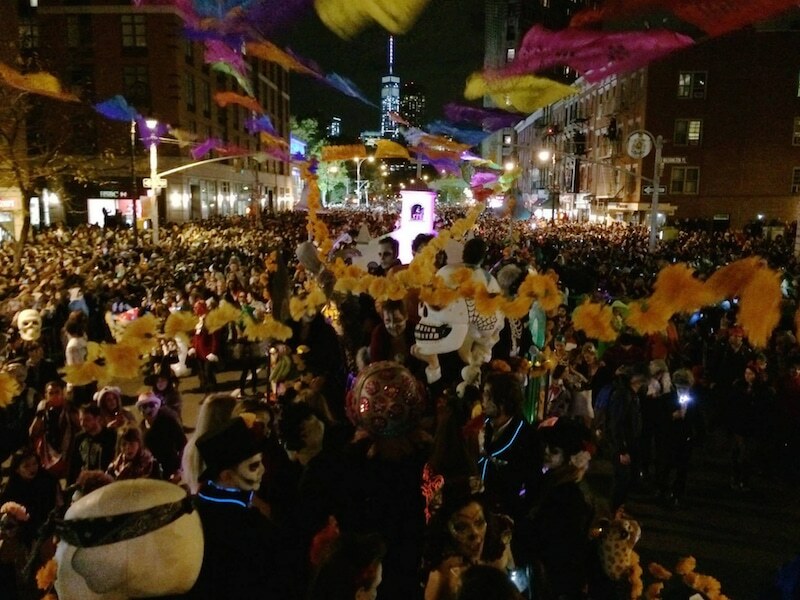 This annual Halloween night parade in Greenwich Village shows how creative its costumed marchers can be. The public can view — or even join in the festivities — along its route from 6th Avenue / Spring Street to 16th Street. You must be dressed up to participate! 15. Catch flicks at the New York Film Festival. Presented by the Film Society of Lincoln Center, this annual film fest — which runs from late September through early October — screens the best cinema in world as well as interesting lectures and presentations. 16. 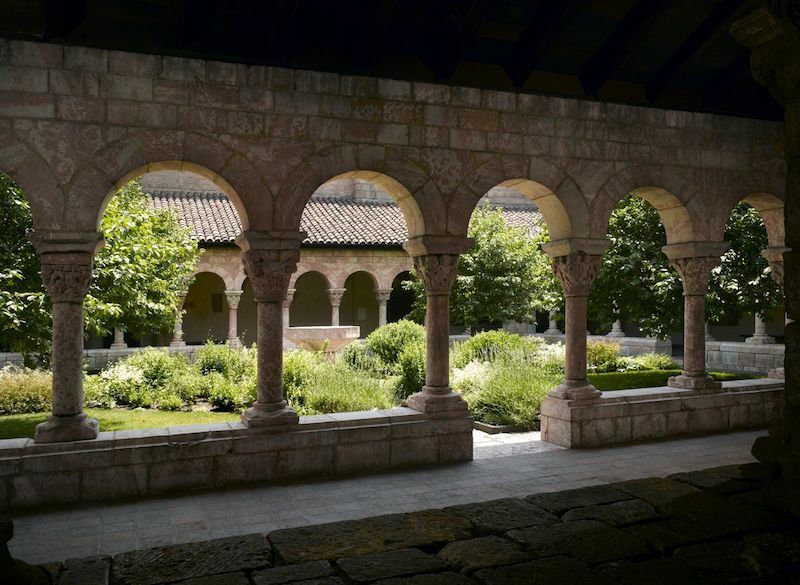 Learn about Medieval times at The Cloisters. This branch of the Metropolitan Museum of Art in Fort Tryon Park is all about medieval European art, architecture and gardens. Before or after The Cloisters, check out Fort Tryon Park. Here you’ll find eight miles of pathways, Hudson River views, and the Heather Garden, the city’s largest garden with unrestricted public access and many plant and tree species. 17. See the sunset on the Cantor Roof Garden at The Metropolitan Museum of Art. This exclusive after-hours Met tour at The Met Fifth Avenue runs year-round; however, it’s extra special during autumn in New York when you can see the seasonal plants, drink in hand. Your ticket includes admission to Met installations as well as The Met Breuer and The Met Cloisters. If you’re visiting the city with your partner, this is one of the top romantic things to do in NYC. 18. Go for a glass of cider at Brooklyn Cider House. Sourcing apples from its orchard in New Paltz — located less than two hours from NYC by car and also open to visitors — this Bushwick restaurant and bar is NYC’s first cidery. Here you can taste their cider directly from the barrel in between four family-style courses or in the bar area. 19. Sip more during NY Cider Week. This November culinary event highlights this fruity libation with numerous food and drink-focused New York activities — within the city and beyond. I Love NY offers a comprehensive list of cideries and distilleries in New York State, too. Check the website for a complete schedule encompassing tastings, dinners, classes and more. 20. Walk among Wave Hill’s gardens. This public garden and cultural center in the northwest Bronx has great views of the Hudson River and the Palisades along its Pergola, plus its Flower, Wild and Aquatic gardens. Garden highlights focus on seasonal blossoming, especially during fall. 21. Visit Bear Mountain by boat. Bear Mountain is a must-have fall day trip from NYC, especially if you want to see fall foliage in New York. The best part of this excursion — one of New York’s most popular Hudson River boat tours — is the weekend Oktoberfest celebrations taking place in the park from late September to late October. 22. Bike along greenways. Manhattan’s Hudson River Greenway follows the river from Battery Park to Fort Tryon Park, while the Bronx Greenway passes through all of its parks. Additionally, the Eastern Queens Greenway also goes past parks, while the Brooklyn Waterfront Greenway traces the borough’s working waterfront. 23. Hike along Staten Island’s Greenbelt. 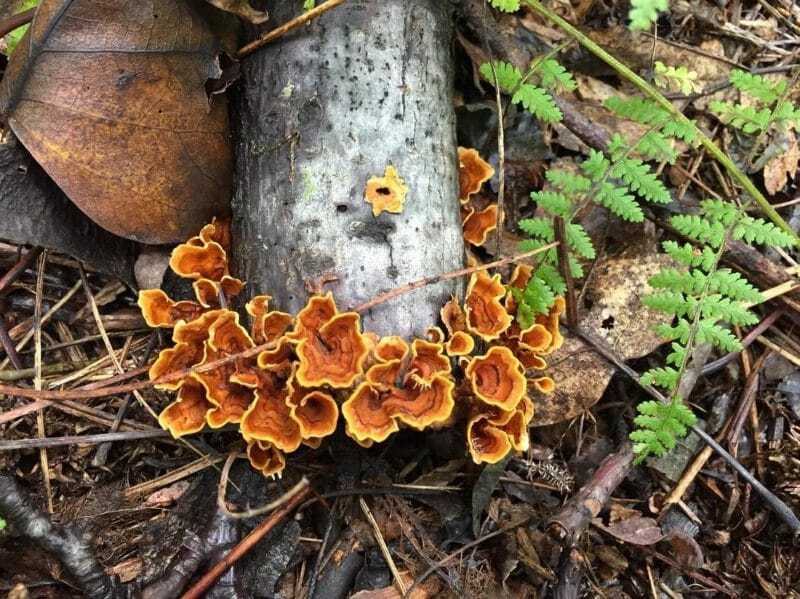 This 2,800-acre nature preserve has six hiking trails for various abilities and four woodland trails permitting bikes and motorized vehicles. Grab a map from the Greenbelt Nature Center. 24. Raise your pepper tolerance levels. In late September, Brooklyn Botanic Garden’s Chile Pepper Festival encourages taste testing of locally-produced hot sauces, chile chocolates and out-of-the-ordinary condiments. On festival day or another day, linger within BBG’s Herb Garden, Rock Garden and Cranford Rose Garden. 25. Gaze along The High Line. This elevated rail line turned green space has great photo angles at the Washington Grasslands and Woodland Edge (at 13th Street), Chelsea Grasslands (between 18th and 19th streets) and the Wildflower Field (between 28th and 30th streets). Through October, Tuesday nights at dusk are for stargazing at Little West 12th. The High Line is full of art, gardens and history! 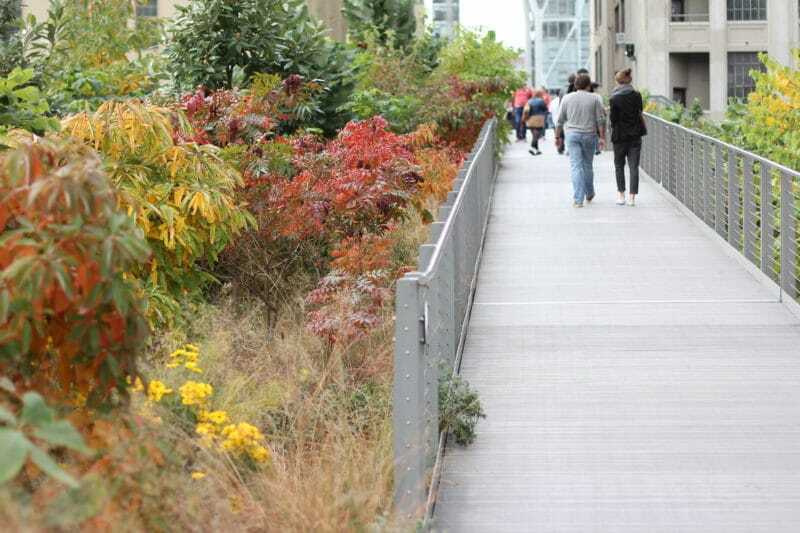 You can book a guided tour — and see lovely New York foliage and fall plants — by clicking here. 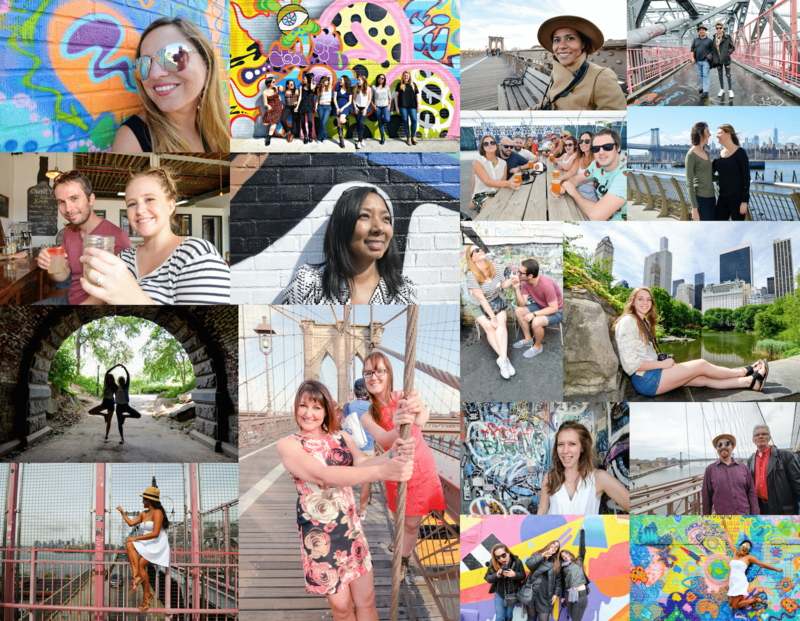 Use code UANYC8 for 10% your tour, too! 26. Ride an aerial tram. For two MetroCard swipes round-trip, the Roosevelt Island Tramway provides sweeping overhead views of the East River from Manhattan to the island and back. On the island, see Franklin Delano Roosevelt Four Freedoms Park, the remains of a smallpox hospital, a Cornell Tech campus and a 19th-century lighthouse. 27. Visit apparently haunted mansions. Visiting New York in October? The Morris-Jumel Mansion in Washington Heights — the oldest house in Manhattan — holds paranormal investigation gatherings to try to communicate with the mansion’s former residents. Likewise in NoHo, the Merchant’s House Museum delves into the paranormal with various October events in NYC. This New York City building is said to be haunted by Gertrude Tredwell, who once lived here with her parents — though she might not have left. 28. Get “cuke” over pickles. In October, Lower East Side Pickle Day honors the time when this neighborhood was brining with pickle pushcart vendors. 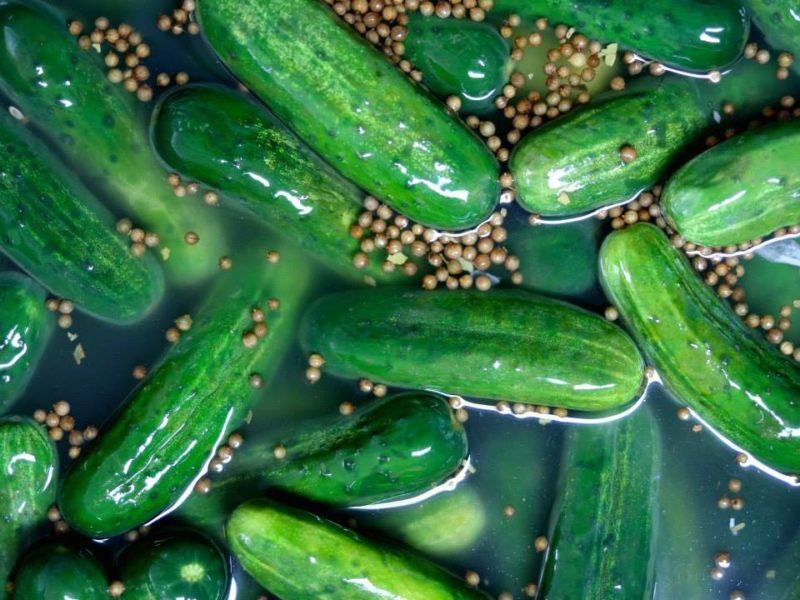 On this tasty day, picklers bring their gherkins to Orchard Street. While on the Lower East Side (LES), try old-world Jewish delicacies in a modern setting at Russ & Daughters Cafe, a restaurant offshoot of the famed appetizing store. 29. Take advantage of free admission museum evenings. Evenings a bit chilly for you? Head inside for some art appreciation. The Museum of Modern Art hosts UNIQLO Free Friday nights from 4pm to 8pm, while the Brooklyn Museum extends its time with Target First Saturdays. Also on Friday nights, The Morgan Library & Museum is free from 7pm to 9pm and The Whitney Museum of American Art has a pay what you wish entry from 7pm to 10pm. 30. Shop for apples at Greenmarkets. Autumn in NYC is all about the apples! 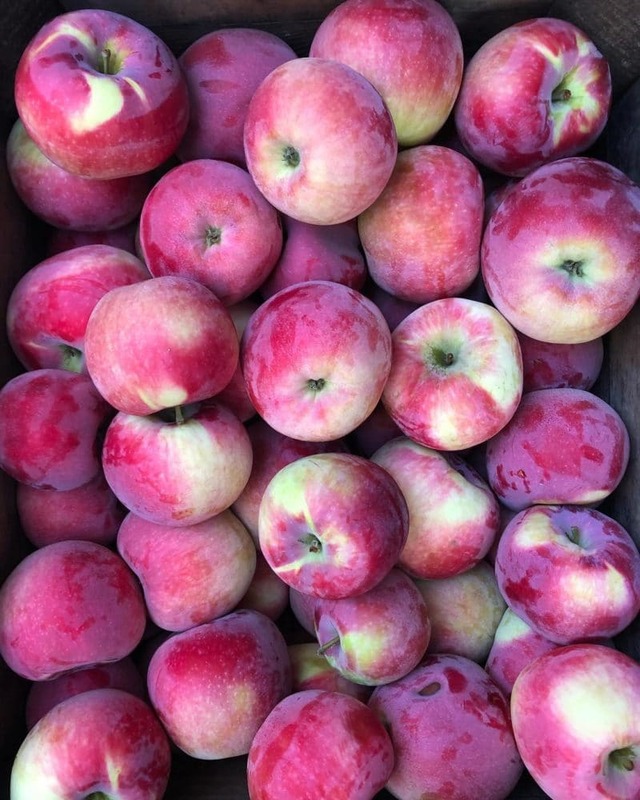 Get your Honeycrisps, Empires, Galas and other varieties without having to leave the Big Apple by buying from regional farmers at Greenmarkets throughout the five boroughs. 31. Get out of the city for some apple picking. It’s an hour and 30 minute trip from NYC to the Harvest Moon Farm & Orchard in North Salem, New York. From Grand Central Terminal, head southeast on Metro-North Railroad’s Harlem Line train and get off at Croton Falls; then take a two-mile cab ride. Warwick, which is only 1.5 hours away by car — 2.5 hours by train — and is one of the top places for apple picking in New York State. 32. 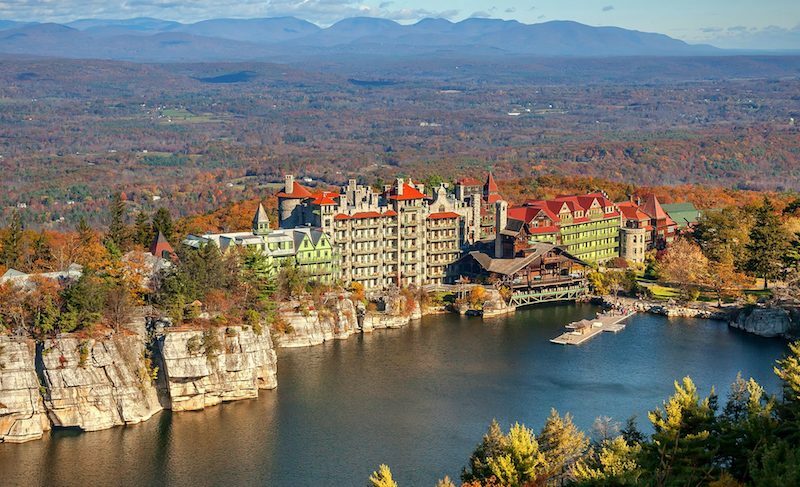 Take in the scenic beauty at Mohonk Mountain House. Fun fall getaways from NYC abound. This Ulster County resort dating back to the 18th century! To get there, take the Metro-North Railroad from Grand Central or Amtrak via Penn Station. Get off at the Poughkeepsie Train Station and then take about a half-hour cab ride or Uber from there. 33. Observe outdoor sculptures at the Storm King Art Center. This 500-acre outdoor museum in New York’s Hudson Valley stages large-scale sculpture and site-specific commissions, putting natural settings in unison with man-made works. Metro-North sells a getaway package with admission and a Harlem rail line ticket to Beacon Station. You can book shuttle service from the station in advance. 34. 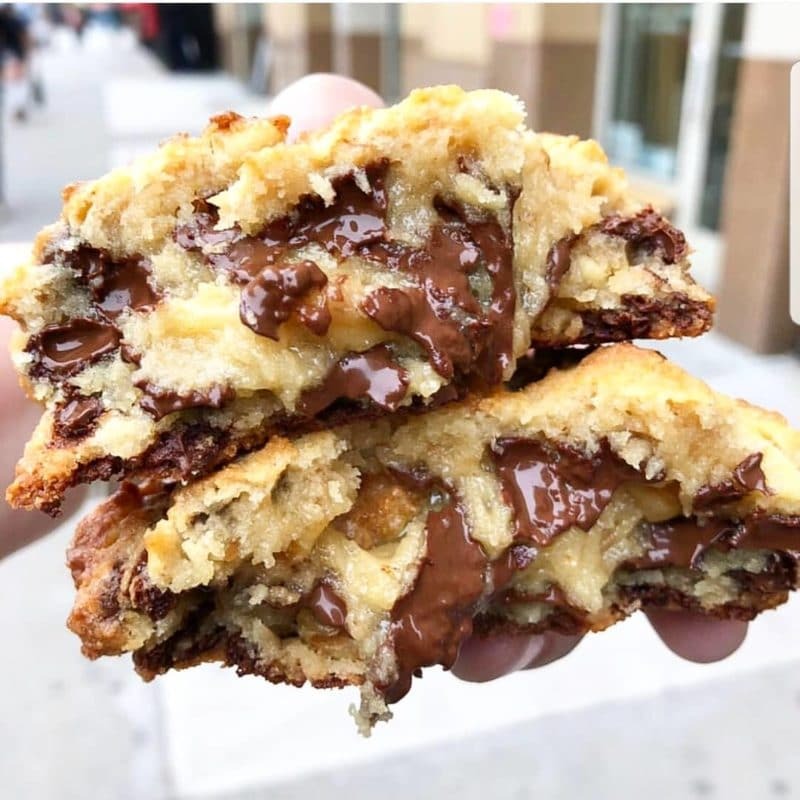 Bite into freshly-made chocolate chip cookies. Is it just us, or does your sweet tooth come out in fall? Get a gooey baked goodie from the decadent Levain Bakery. Maman is known for its nutty chocolate chip cookies; while Smiles to Go, bakes a dark chocolate chip sea salt cookie. Moreover, Erin McKenna’s Bakery has a vegan and dairy-free version — as well as seasonally-flavor donuts! 35. Dig into some mac and cheese. Beecher’s Handmade Cheese serves a very rich version of this dish. Its eatery, The Cellar, sells a special sized portion at a happy hour for $10. 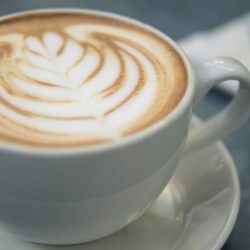 Additionally, S’MAC has gluten free and vegan options, while Murray’s Cheese Bar, the restaurant of the famous cheese shop, serves a well-kept secret, four cheese recipe. 36. Come across a pocket park. In Manhattan’s Midtown, Greenacre Park is a small green escape complete with a 25-foot-high granite waterfall, seating areas, a raised terrace and lush plantings of honey locust trees. 37. Get the picture at Photoville. If you’ll be in NYC in September, Photoville is held over two weeks during the month. 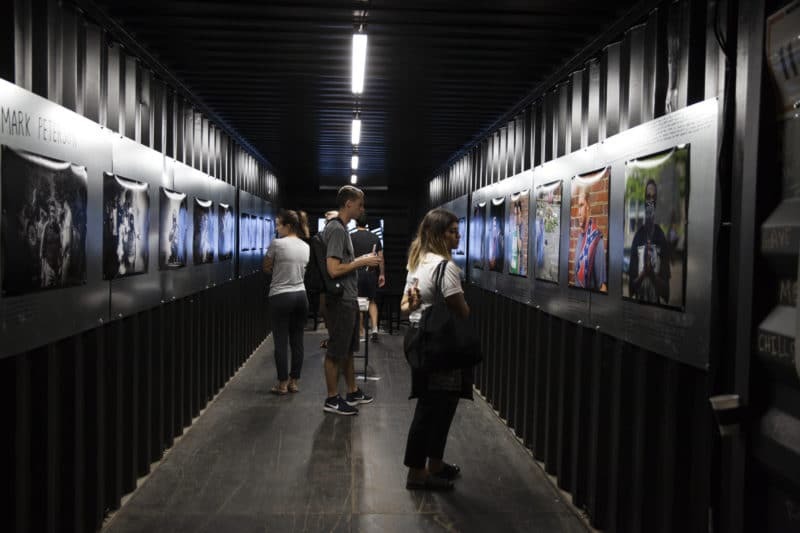 This annual festival involves repurposed shipping containers being turned into photography exhibitions and outdoor installations. Note that 2018’s edition happens in Brooklyn Bridge Plaza. 38. Get a much needed laugh at the New York Comedy Festival. Every November, the crème de la crème of comedy gather for this seven-day line-up. Get a chuckle from up-and-coming comedians and catch bits by noteworthy headliners. 39. Reflect in the gardens at Luke in the Fields. At this Episcopal church in the West Village, this private oasis that is open to the public consists of walkways, lawns and impressive collection of Native American flora and rare hybrids. 40. Watch parade balloons inflate. The day before Thanksgiving, the streets surrounding the American Museum of Natural History on Manhattan’s Upper West Side are where Macy’s Thanksgiving Day Parade crews get parade balloons ready for the big day. Watch them working from 1pm to 8pm, with the entry access point being West 74th street and Columbus Avenue. From there, the public can watch the balloons being inflated on West 77th and 81st streets. 41. 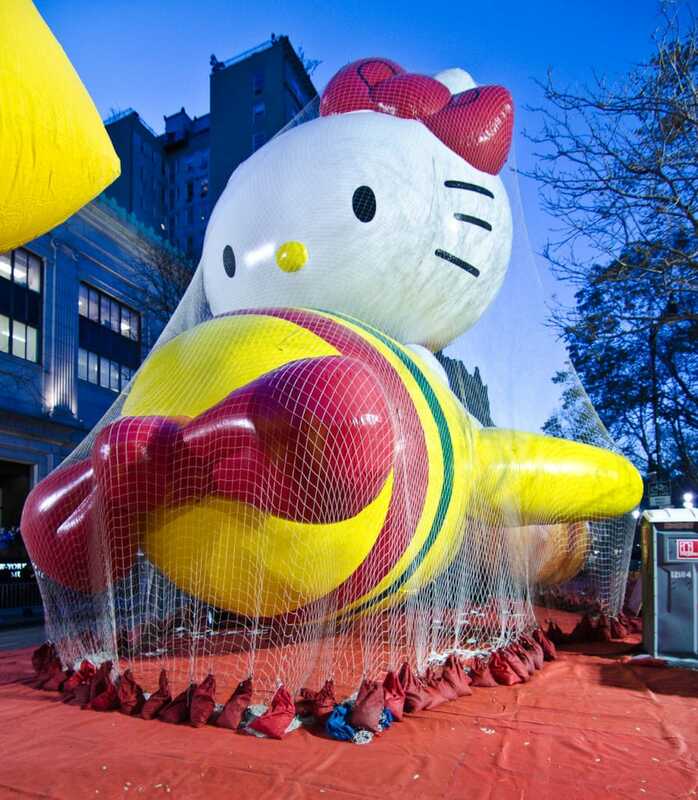 The next day, get a good viewing spot for the Macy’s Thanksgiving Day Parade. Early risers should camp out starting at 6 am along the west side of the street on Central Park West from 59th to 75th streets, where the parade runs from about 9am until 10:30 am. For going later on, venture further down the route on 6th Avenue; the parade reaches here around 9:30 am. 42. Hop on a fall foliage brunch cruise in NYC. Savoring a brunch — particularly a boozy brunch in NYC — is a must-have experience. On this Hudson River cruise, you’ll board a 1920s-style yacht, savoring a four-course brunch while taking in views of Palisades Park, Manhattan’s Upper West Side, the iconic George Washington Bridge and the golden foliage of the Hudson River Valley. Sipping a beer at Rockaway Brewery in Long Island City, Queens. Photo via Jessica Festa. 43. Take a tour of top NYC breweries. 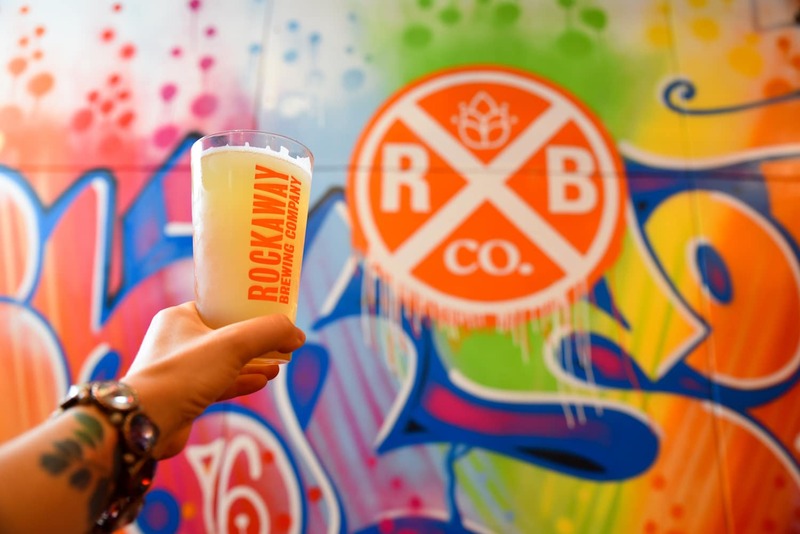 On this boozy NYC tour, you’ll explore some of the best breweries in Long Island City, Queens. Each space is unique, and introduces you to the seasonal flavors of fall through beer. Click here to book this New York brewery tour. Use code UANYC8 for 10% off! 44. Take a trip to Niagara Falls from NYC. The falls themselves are breathtaking, a must-have experience when visiting New York State. 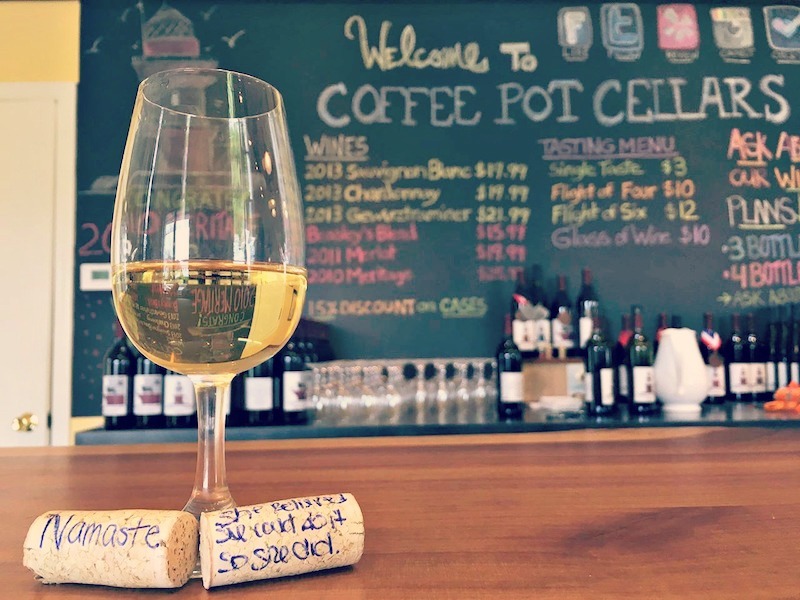 What many people don’t realize is there are other things to do in Niagara County, like seeing the murals of Art Alley, tasting terroir along the Niagara Wine Trail and seeing seasonal plants at the Botanical Gardens. Short on time? You can visit Niagara Falls in one day from New York City by plane. Some people do this as a bus trip, but in our opinion the journey is way too long and you’ll have almost no time to stop for photos. 45. Spend time relaxing at secret gardens in NYC. We particularly love Paley Park in Midtown for its gorgeous man-made waterfall; St. Luke’s in the Fields in the West Village which dates back to the 1840’s; and Fort Washington Park in Washington Heights where you can also see the Little Red Lighthouse, the only reminaing lighthouse in Manhattan! Stopping for a tasting at Coffee Pot Cellars on a Long Island Wineries day trip from NYC. Photo via Jessie Festa. 46. Visit Long Island during harvest season. Fun fact: Brooklyn and Queens are physically on Long Island, though note Long Island is not technically part of New York City’s five boroughs. It does make a fun NYC day trip though, especially during fall when it’s harvest season and you can explore some of Long Island’s 50+ wineries. You can take public transportation, though the easiest way to do this trip is via a tour. This way you have a designated driver and can easily get form winery to winery. 47. Savor dishes at top farm-to-fork eateries. One of the best ways to experience New York City in fall is through the palate. By dining at some of NYC’s restaurants reknowned for their creative use of seasonal ingredients. What are your favorite New York City in fall experiences? Please share in the comments below! Enjoyed this post! Pin it for later!